Are you set out to find answers to the question is IPTV legal? congratulations as you are in the right place. Suffice to say that by the time you are through with reading this post, you would be better informed about the usage of IPTV services. Interestingly, we have broken this post into sub-headings and tables of contents. Therefore, if you already know much, just head over to the sub-topic that interests you. Firstly, IPTV is in the middle of the two extremes. By this I mean it sits in the middle of pay-TV and FTA satellite tv. Contextually, IPTV is a broad term with sub-terms. For the purpose of this article, our focus shall be mainly on “illegal IPTV services”. Illegal IPTV is otherwise known as “streaming piracy”. Illegal IPTV services(streaming piracy) is part of the broadcast piracy phenomenon. Consequently, Illegal IPTV is associated with the act of streaming or downloading of television contents over the internet without the permission or authorisation of the original content owner. What is Internet Protocol television (IPTV)? Is IPTV usage legal in the USA or the UK? Is Subscription to fully-loaded Kodi illegal? Are Android TV boxes legal? How can one Identify illegal IPTV Services? Why do we involve in illegal IPTV Streaming? Who are the providers of illegal IPTV services? What types of devices can do IPTV? Can a Lawsuit or litigation arise from using IPTV illegally? Where can I buy legal IPTV subscriptions? By way of illustration, other major players in the broadcast piracy activity include the use of internet keys sharing(IKS), SKS, cable piracy and so on. Now, IPTV in itself is not illegal. If this was not the case, there wouldn’ be google, facebook, Instagram, Netflix and the likes. What is actually illegal is streaming piracy. When you are guilty of streaming piracy, you are said to be using IPTV services illegally. The question still remains is IPTV legal? Are IPTV subscription illegal in the USA, UK, or any other country? Can an individual be prosecuted for using an IPTV Service illegally? What is illegal IPTV(Streaming piracy)? Why do people involve in illegal IPTV streaming? What are the devices that can play IPTV channels? How can one identify an illegal/unofficial IPTV Service? How does server IPTV work? Can one get into trouble for using illegal IPTV services? Is Kodi media player illegal? Where can I obtain legal IPTV Service? Internet television popularly known as IPTV is the delivery of television content using signals based on the logical Internet protocol (IP). This delivery is as opposed to what we have with traditional terrestrial, satellite signal, and cable television formats. From a TV watcher’s point of view, IPTV is very simple. In other words, instead of receiving TV programs as broadcast signals that enter your home from a rooftop antenna, satellite dish, or fibre-optic cable, you get them streamed (downloaded and played almost simultaneously) through your Internet connection. By the definition above, IPTV simply means a television via internet protocol. Generally, merely using an IPTV service that you purchased or acquired from illegal sources for personal uses might not constitute any form of illegality. However, for the fact that many are doing it doesn’t make it legal. Individuals in the USA and the UK have had their internet account suspended because of illegal streaming. It might come to a point when an individual would be tracked to their location for using IPTV illegally. In addition, if you using IPTV in the form of P2P streaming, content owners can come after you easily. Also, there are companies who are actively considering taking people to court for using these illegal IPTV services to send a message. Furthermore, by watching many of the Kodi plugins for watching free movies and sports streams you are participating in illegal activity. In most cases, you won’t be prosecuted but you are still involved and there are companies who are considering prosecution. As you can see, these services are definitely illegal especially when it comes down to offering them to the public. Whether it’s illegal for users to watch these streams is down to individual countries’ laws, but on the whole, the legal system is untested in both Europe and the United States so prosecutions seem unlikely, at least for now. The above response explains it all. the contents you are streaming via IPTV determines whether it is legal or not. However, let me cite some instances from the USA. As a matter of fact, watching an IPTV service (whether it is a legal one or an illegal one) is not illegal in the US. However, rebroadcasting copyright protected contents is illegal in any civilized society. Furthermore, If you were to download and redistribute content you have acquired from an illegal source, such as IPTV (but not limited to), and shared it, then that is illegal. A second scenario, If you subscribe to an illegal IPTV service and display the feed in a public venue (hotel, bar, club, etc), then you are breaking copyright laws. God help you if such content is If it’s Hollywood movies or premium sports as you have more chances of getting nailed with a lawsuit. In most cases, If you just watch TV at home then there is really little or no risk. The first kind—and the one you’re probably using already—is called video on demand (VOD). With a service such as Netflix, Hulu, PSVue. With this kind of IPTV, you select a TV program or movie you want to watch from a wide range, pay your money, and watch it there and then. A different kind of IPTV is on offer by some of the world’s most enterprising TV broadcasters. In the UK, the BBC (British Broadcasting Corporation) sometimes makes its programs available online using a web-based streaming video player called the BBC iPlayer. This kind of service is sometimes called time-shifted IPTV. This is due to the fact that you’re watching ordinary, scheduled broadcasts at a time that’s convenient for you. Thirdly, the last kind of IPTV involves broadcasting live TV programs across the Internet as they’re being watched—so it’s live IPTV or IP simulcasting. All three forms of IPTV can work either using your computer and an ordinary web browser or (for much better quality) a set-top box and an ordinary digital TV. When you separate the two words, you have streaming on one hand and piracy on the other hand. First off, stream means a method of transmitting or receiving data (especially video and audio material) over a computer network or internet. Piracy, on the other hand, implies the illegal copying, distribution, or use of content. In the context of this article, we are talking about broadcast piracy. Therefore another name for illegal IPTV streaming is broadcast streaming piracy. With broadcast streaming piracy, you are committing an offence known as intellectual property theft. However, It is not inherently illegal for the viewer to watch copyright content online. In as much as you are not redistributing or selling it. On the other hand, downloading a copy onto your computer without some sort of license to do so is a violation of civil law and the downloader may be subject to a lawsuit from the copyright holder. In this segment, I will be enumerating various forms of IPTV subscription, legal and illegal. Also, i would be given some example of same. Trial accounts: Many legal streaming services like Hulu, Netflix and so on offer free trial accounts for 7 days. You can avail yourself of this. read more here. Also, we have a video on demand(VOD) IPTV service accounts. Netflix utilizes this method. you pay after selecting the content. 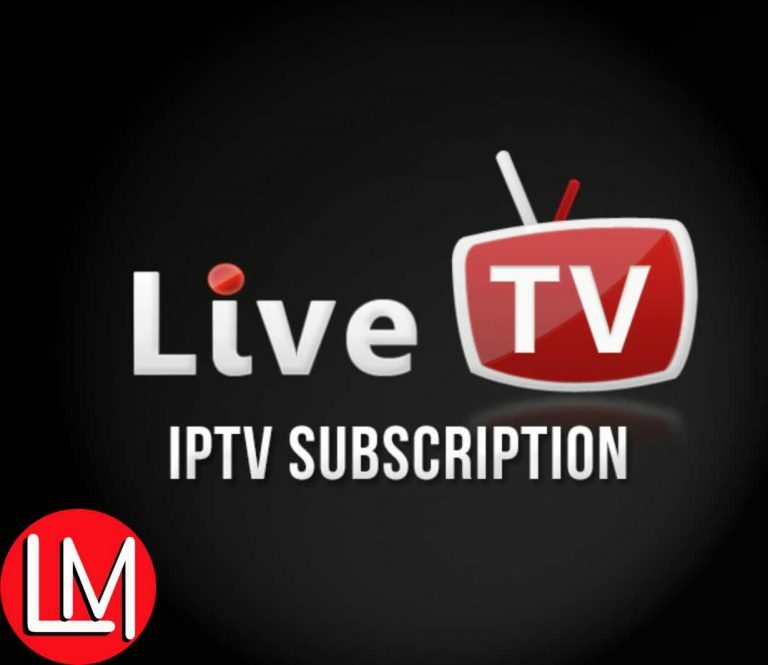 Finally and the most popular type is live TV IPTV accounts. Many IPTV subscriptions fall under this category. Notable examples include: Sky, beIN connect, DStv now account, Direct tv account and so on. IPTV service accounts that come with some decoders: We have many IPTV accounts that comes inbuilt in some decoders. This account can also be used on other devices. examples are an anewish account, xtv, myhd, home cloud, dreamlike and so on. Another form by which illegal IPTV accounts are distributed is through known devices such as Roku stick, Amazon stick, and smart TVs. Many people know how to get an account of the above devices. Certain IPTV android apps not available on google play store. Examples are Mobdro, sports TV and so on. IPTV URL streams. Most live IPTV streams that can be integrated into media players like VLC are illegal. Lastly, we have IPTV streaming websites. This question has come up several times across the web. Also, those behind the development of Kodi has dissociated themselves from piracy many times than none. To answer this question, I would use an illustration of the Apple iPhone. Apple sells the iPhone it is as empty as possible with just basic preloaded apps to get you started. Although people might go out of their way to install pirated apps on their phone, the phone manufacturer is not liable. Similarly, Kodi for all intents and purposes is not an outlawed app. However, some dudes develop and distribute plugins that violate copyright protection of contents holder via Kodi. Similar to Kodi player, Android boxes that are not tagged “fully-loaded” are as legal. I recently reviewed one here. However, you are responsible for what you install in your android tv box. However, a dealer selling android tv boxes and emphasising that it can open named live sports channels(that he doesn’t have the right to) might get himself into trouble. I have an android box, I use Kodi on it but this is for personal use. The pointers to illegal IPTV is not as easy as it appears. However, I will give you a definitive list in this segment. If the source is not from the original content right holder or their representative, it is most likely illegal. When there is no official structure where the business is carried out, then it is most likely illegal. In addition, illegal IPTV service picture sometimes doesn’t synchronise with that of the official provider. It may run a bit late. Picture quality is sometimes a determinant. Although technology advancement as reduced this lag. Advertisement and commercials can also be a determinant even though some legal streaming services do the same. Illegal IPTV service providers usually go overboard with their advertisements during the program. Poverty: this is the major reason why people go into crime. All fingers are not equal. Many families want to enjoy premium tv content but they can’t afford it. Therefore they jump on any cheap means of meeting their wants. Some tv contents are overpriced: Imagine you pay for a movie and after watching it, you feel miserable because you didn’t derive much utility. Consumers are rational and they would want to test before buying. The high cost of cable tv subscription is another factor. Geographical restriction: I will call this the greatest injustice. Many contents are restricted to some region. Let us take Netflix for example, if you outside the USA, your IP will be blocked even if you have a legit subscription. This alone can make some opt for the illegal IPTV service. I will, however, advise you to use a VPN to continue enjoying your legal IPTV sub outside the supported country. Surprisingly, it is not just all smooth for those who subscribe to illegal IPTV service. There are a lot of dangers that can scare many away from these services. I will highlight some of these inconveniences below. Using an unofficial IPTV service can make you be penny wise pound foolish. As a sound reminder, the original right holder can block the streams to illegal IPTV streaming without any prior notification. Unfortunately, the end user will suffer because the seller would be at large when this happens. It is a game of loss if this happens sooner than later. Also, your computer or mobile phone can be infected with a virus. Hackers exploit the vulnerability of IPTV users to attack them. Please if you would ever try and free IPTV from unknown sources, use a VPN. You can ensure a lawsuit if you are caught using illegal IPTV. The law is a respecter of no one. Normally, the content owners will slap you with a hefty fine which can plunge you into perpetual debt. Too bad for if you are caught as a seller of such services. Instability of the contents you streaming can also occur occasionally with illegal IPTV. Your program can buffer endlessly. Lack of adequate supports by illegal IPTV service providers. Finally and equally worthy of mention is your conscience as it relates to the morality of what you are doing. This question will take us all day to answer. Nevermind, I will summarise my answer here while I provide you with a link to my article that fully explains it. Hackers are behind most illegal IPTV services. They sometimes hijack the live streams while at times, they hack into the cards of the content providers and get what they need. Also, they can use some hacking tools to redistributes streams from official cards. Furthermore, IPTV is somewhat more complex. You need a sophisticated storage system for all the videos you want to make available and a web-style interface that allows people to select the programs they want. Once a viewer has selected a program, you need to be able to encode the video file in a suitable format for streaming. Also, you should encrypt it (encoding it so only people who’ve paid can decode and receive it), embed advertisements (especially if the program is free), and stream it across the Internet to anything from one person to (potentially) thousands or millions of people at a time. Furthermore, you have to figure out how to do this to provide a consistently high-quality picture (especially if you’re delivering advertising with your programming—because that’s what your paying advertisers will certainly expect). Read the full guides on IPTV setup here. It doesn’t matter if it is legal or illegal IPTV, the same set of devices are required to run either. Technology advancement has made it possible for you to use IPTV on multiple devices and operating systems. Let me give you are a growing list of such devices. You pc is another modem through which you can stream IPTV. Windows media player, VLC player and similar players support IPTV URLl\ steaming. Also, you can install Kodi on PC. Some web browsers can also open.m3u IPTV files. Linux, Unix, Ubuntu Operating systems are not left out. A mac computer can also stream IPTV either through Kodi or via VLC. Amazon firestick can do IPTV as well. Roku sticks also has the capacity to open IPTV programs. Also, many smartphones irrespective of the operating system now supports the installation of IPTV Apps. You can use IPTV on Android phones, iPhones, Microsoft phone and even blackberry. factually yes, illegal IPTV or streaming piracy is a violation of the copyright protection of contents owners. Consequently, the right holder may seek redress in the court of law as a result. The likelihood of a prosecution depends majorly on the enormity of damages incurred as a result of the illegal IPTV service. As one would expect, the prosecution or litigation is targeted majorly at those making money from illegal IPTV services. For example, as a seller of an illegal IPTV service account that shows beIN channels, your buyers maybe be ignored but you will be caught and prosecuted once(beIN) they find out. Using Kodi personally is legal(as long as you are not detected). Although, beIN or sky will not be happy that you are paying some unknown people the subscription fees meant for them. The answer is, IPTV obtained from the original content owners are stable. In addition, you will enjoy their full support. Suffice to say that you have consumer protection if your right is being trampled upon while using an official IPTV service. Summarily, if you want a legal IPTV service account, make sure you goto the original content owners. Especially relevant, You can visit their office or give them a call. Going through the backdoor will amount to you viewing their contents illegally. Moreover, I will add some links at the end of this post that would enlighten you further on legal and safe IPTV services. What are the chances of all IPTV becoming legal in the US? Like even commercialized ones. Maybe they should make a law similar to car dealers. I can sell up to 9 cars out of my front yard per year once I hit the 10th one I have to register as a dealer and pay for a license. Wouldn’t it be a practical possibility that they may allow IPTV to be commmercialized up to a certain dollar amount? I mean long as they are not making billions of dollars or something then what’s the big deal? By the way, Set TV is the biggest “illegal” IPTV company to do it in the US. His company is currently is facing a legal battle, whatever happens to him will set the tone as far as determining what happens to other “illegal” IPTV providers in the future. @tv man: you mean the threat is also evidence in the US as well? @Tv man: most of the companies that have had their contents pirated by unofficial IPTV providers also offer legitimate iptv services to their customers. It’s even free as long as you have subscribed to a paid bouquet on their platform. We have many free iptv for news, entertainment certain movies. However, premium sports is a no no. Premium movies are also a no area. Again, the set tv lawsuit will determine how big of a deal it is. I’d be interested to see the fate of other IPTV companies similar to that one. im confused to why people ask blatently obvious questions…so you pay £80+ for Sky each month,…”legally” or to get the same channels AND MORE for only £5 – £10/month……….surely common sense would say, the chances are theres something bit “Dodgy” with such a price difference, i run a VPN business, and the only way to eradicate the chance of getting caught, which is beyond small, is to use a premium VPN so one might cost you £3/mth rather then dodgy free one, which can be more unsafe then not having one, im sure Lemmy would agree with me on that one. Currently paying 5 bucks for Area 51 IPTV through Kodi. Using a re loadable card that’s not connected to a bank account or any personal info. Is this legal or illegal. In my mind if I’m paying for it and not pirating or distributing the content that’s streamed it’s legal. Am I wrong? @MacThePunisherMa: I understand your self-justifying stand. It happens to most of us. Unfortunately, the fact remains that it is still illegal. Although, you have a little case to answer compared to an individual or group commercialising such services. You might never be discovered. Even if you are, it will simple a call-to-action like you will be instructed to stop using it or thereabouts. I currently use ancloud TV box, is this illegal streaming? thats a long wait for an answer…….